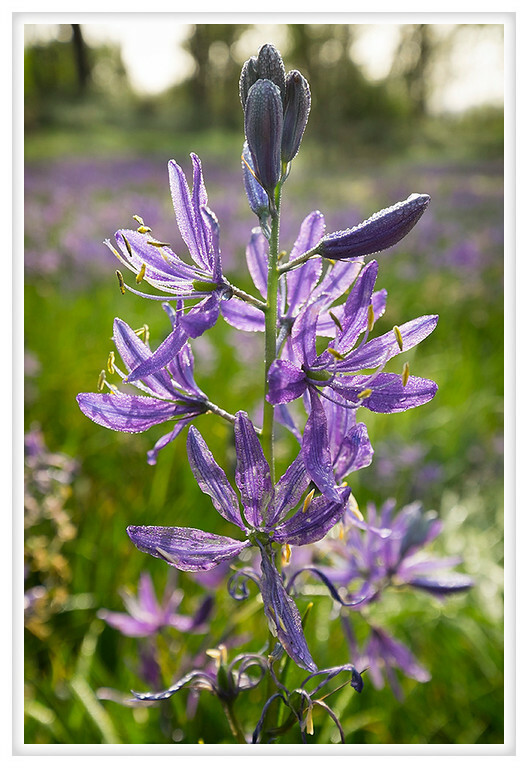 The camas have come and mostly gone but they gave us a few glorious weeks. Their richly color petals caught the lights and the light rain made the dewy droplets sparkle like diamonds whenever the clouds broke long enough for the sun to momentarily dazzle our winter eyes. The landscape is getting more lush by the day and the beauty of the Pacific Northwest is being slowly revealed.